Irene C. Osmundson, age 92, passed away peacefully after a brief illness on January 31, 2019 in Wilmington, Delaware. She was born in Faribault, Minnesota, to Ralph and Pauline Morris. Irene was active in many charities and organizations throughout her life. She generously supported the American Red Cross, the Delaware Food Bank, the Mary Campbell Center, the Mayo Clinic, the National Alliance for the Mentally Ill-DE, and St. Jude Children’s Research Hospital. She was an active member of the Green Acres Garden Club and St. Paul’s United Methodist Church for many years. Irene enjoyed gardening, sewing, stamping, reading, traveling, music, playing bridge and spending time with family and friends. Irene is survived by her two beloved granddaughters Rachel and Christie, devoted son Brian (Karyn), loving daughters April (Michael), Shelley (Jack), and Anita (David), the greatest sister-in-law Beryl, and many cousins, nieces and nephews. 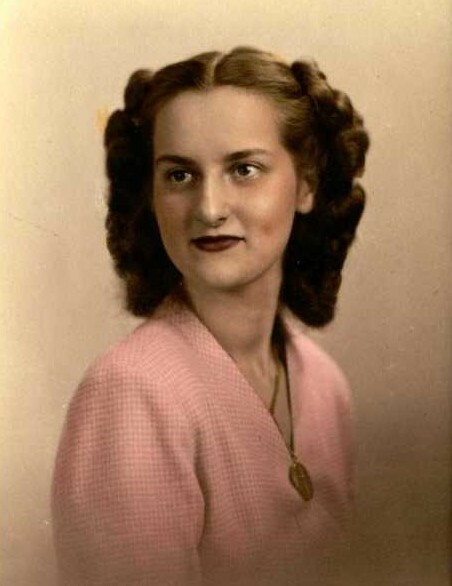 She was predeceased by her parents, husband Roger, daughter Jennifer, sister Mildred, and brothers Clifford, Donald, Everett, Lawrence and Ralph, all of whom she loved dearly. A Funeral Service will be held at 11:00 am on Wednesday February 6, 2019 at Brandywine Valley Funeral Care, Beeson Chapel, 412 Philadelphia Pike, Wilmington, DE 19809 where friends may call beginning at 10:00 am. Burial will follow the service in Gracelawn Memorial Park. Her family gives special thanks to all of the wonderful doctors, nurses, and staff at Christiana Hospital, St. Francis Hospital, Wilmington Hospital, Cardiology Associates of Delaware, Forward Manor and Ivy Gables for their many years of service. In lieu of flowers, donations are greatly appreciated to the American Red Cross, 100 W. 10th Street, Suite 501 Wilmington, DE 19801 or St. Jude Children’s Research Hospital, 501 St. Jude Place, Memphis, TN 38105.